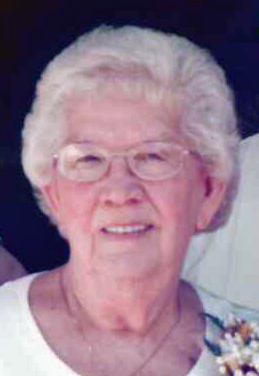 Remembering Juanita J. Wilson | Remembering Juanita J. Wilson | De Soto Obituary Search | Dietrich-Mothershead Funeral Home, Inc. Remembering Juanita J. Wilson | De Soto Obituary Search | Dietrich-Mothershead Funeral Home, Inc.
Juanita Jeanette Wilson was born July 8, 1934 in Union, MO. She was the daughter of James and Bessie (nee Haynes) Barrett. 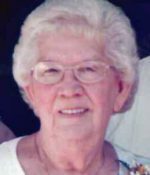 She passed on April 16, 2017 in Fletcher, MO at the age of 82 years. She is survived by her son, Jim (Dianne) Wilson, Fletcher, MO; two daughters, Lisa (Mike) Carmack, De Soto, MO; and Keena (Lindell) Byron, De Soto, MO; one sister, Norma Jean Hellman, Union, MO, and one brother-in-law, Clarence “Buttons” Laughlin, Mokane, MO; grandchildren, Clayton and Brooke Wilson, Jason (Kristen) Carmack, Robert (Sara) Carmack, Jaclyn (Matt) Keller, Daniel (Tiffeny) Byron, April Byron, and Amy(fiance Jeffery Coleman) Byron; great-grandchildren, Mason, Carson, Sophia, Haley, Mackenzi, Wade, Brice, and Jake. She is preceded in death by her parents; husband, Monte Wilson; two sisters, Eunice Ellis and Shirley Laughlin; brothers-in-law, Vernon Ellis and Ray “Bucky” Hellmann.